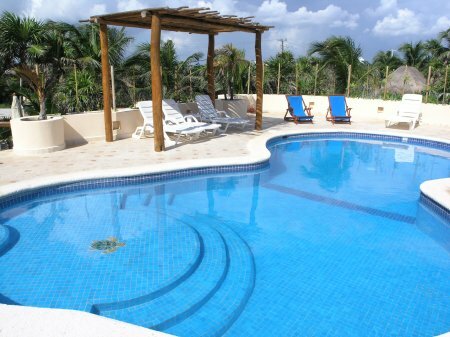 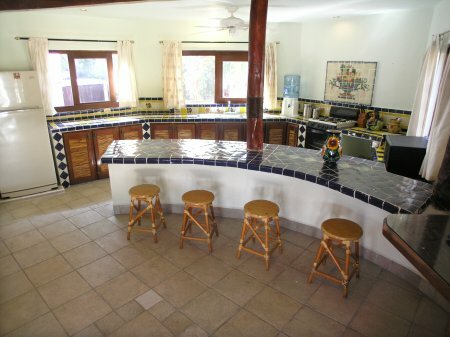 Casa Iguana is more than just a house; staying in Casa Iguana is like having your own, personal resort, featuring two side-by-side houses, each with two air-conditioned bedrooms, two bathrooms, a living room and full kitchen. 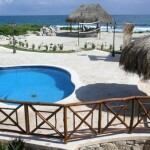 The view from the oceanfront pool and palapa is awesome and is such a relaxing place to watch the waves roll in. 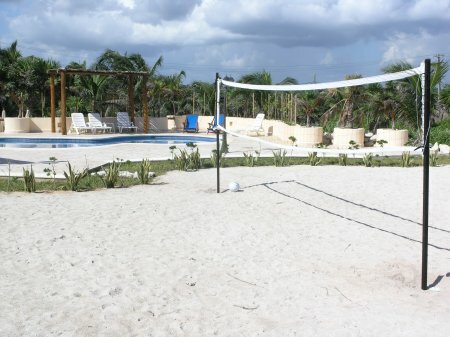 And just beyond the pool is a sea front, sand volleyball court that doubles as a tanning area. 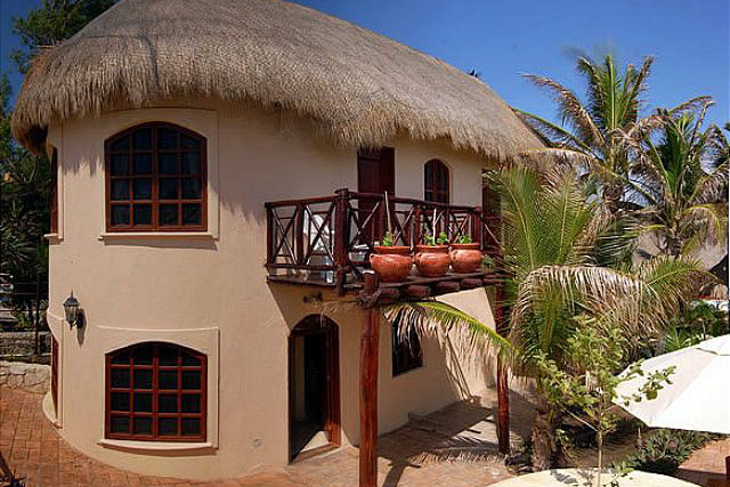 The two houses face directly toward the garden, perpendicular to the ocean view. 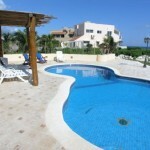 The best, elevated sea view is from the second level of the two-story house, closest to the pool and sea. 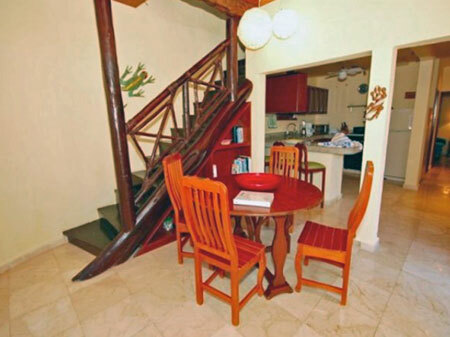 This main house has one air conditioned bedroom and one bathroom on each level, a full kitchen and dining room on the lower level, and a living room with sofa, coffee table and chairs, satellite TV & DVD player, and a sea view balcony on the upper level. 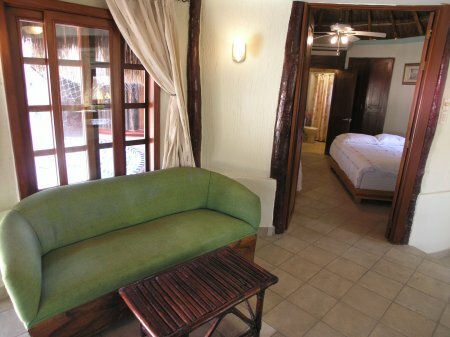 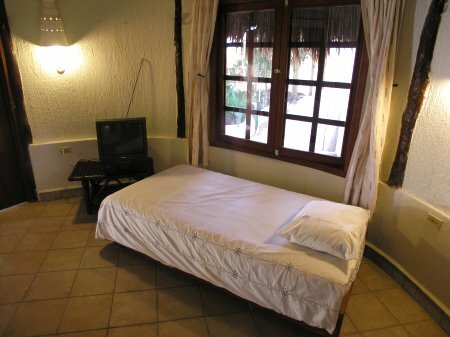 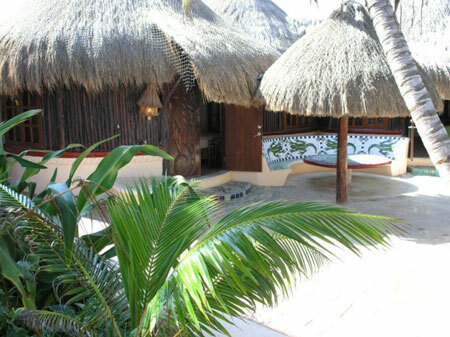 The one level palapa roofed house is next to the two story house and has the other two air conditioned bedrooms, two more bathrooms, another full kitchen and a living area with the seating facing the satellite TV & DVD. 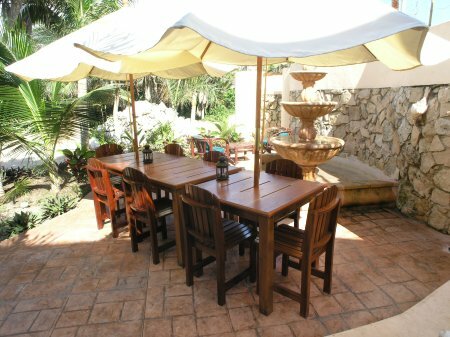 The garden area outside is a comfortable space to gather and enjoy your own private Happy Hour, or coffee with the morning sunrise. 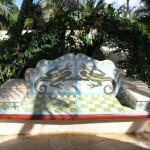 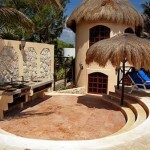 In front of the palapa roofed house is a built-in tiled mosaic bench and low table. 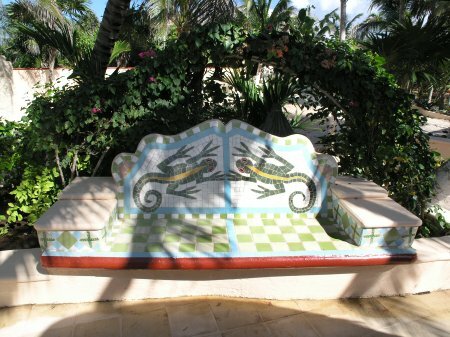 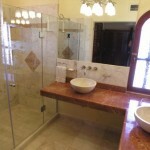 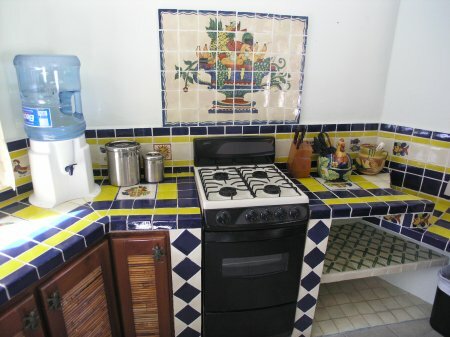 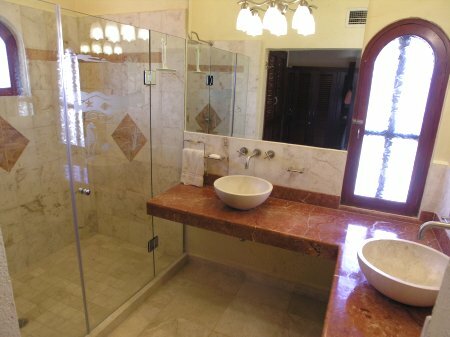 The iguana designs are custom made and give the house its name. 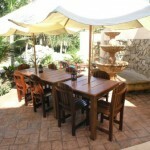 From here you can wind around a garden planter with small palms and tropicals to the two outdoor dining tables. 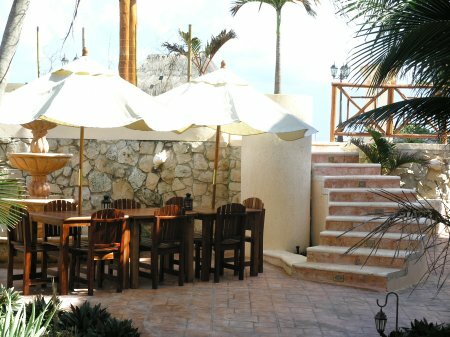 They’re next to the fountain, shielded from the wind by the elevated pool deck, and there are two umbrellas to provide shade if needed. 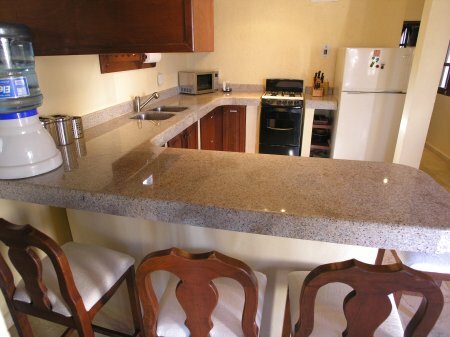 It’s a great place to share a meal or snack. 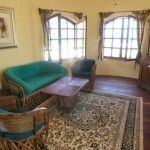 The tables seat eight people comfortably but a larger party can be accommodated with extensions. 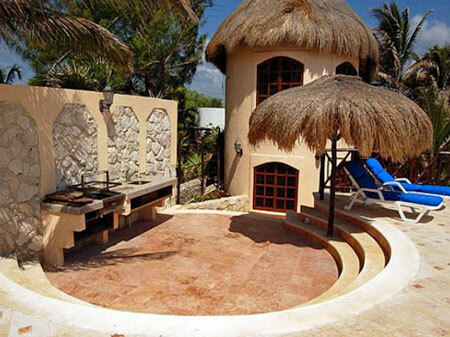 A curved stairway rises to the oceanfront swimming pool and sun deck. 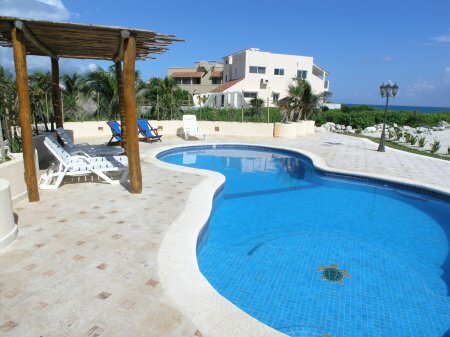 The pool deck is a great space for all to enjoy and has plenty of room for everyone, with chaise lounges and sling-back chairs for sunbathing or just kickin’ back under the shade of the palapa. 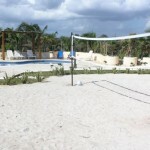 The sandy play area serves as both a volleyball court and soccer area. 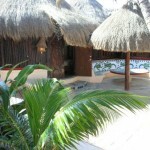 Another, larger, shade palapa is closer to the sea and most always offers a nice, fresh sea breeze. 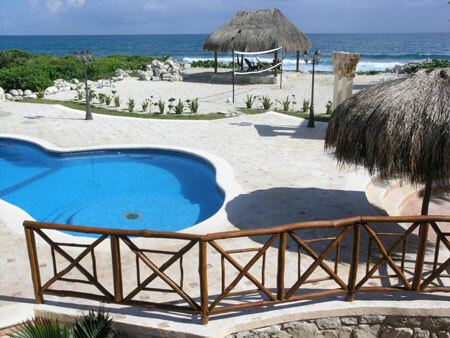 Watching the surf crash on the rocks can be an activity in itself, especially with a cup of coffee, cocktail or cerveza in hand. 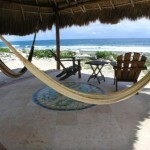 The palapa has a couple Adirondack chairs, a small table and two hammocks facing the view. 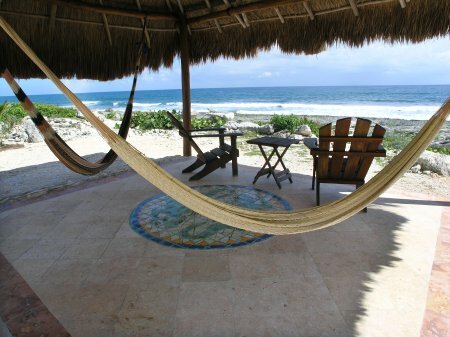 Don’t be surprised if you doze off in one of those hammocks. 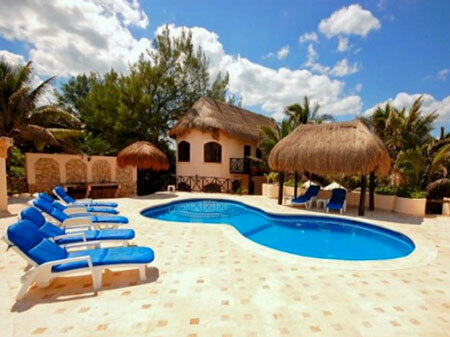 Casa Iguana has so much to offer; located on a large, half-acre, oceanfront lot, in a great location between central Akumal and Half Moon Bay, with unforgettable views of the Caribbean and the imaginative design offering so many delightful entertainment areas inside and out, for relaxing, playing, dining and more; you will want to come back year after year! 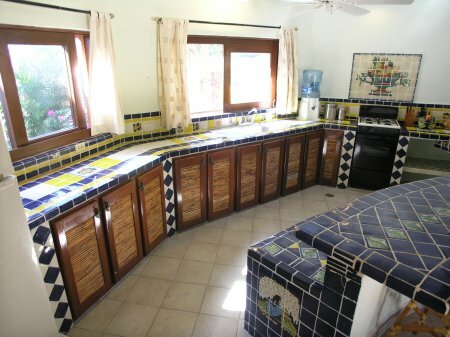 Complimentary cook service for 5 meals – lunches and/or dinners – Monday to Saturday – applies to 7-night reservations only – Cost of groceries is additional. 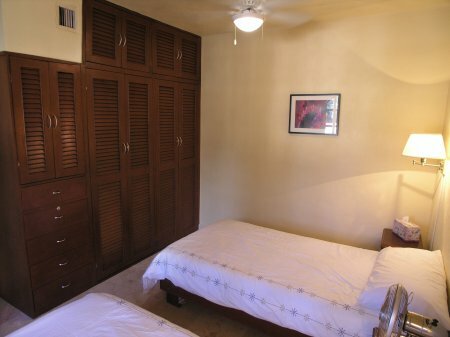 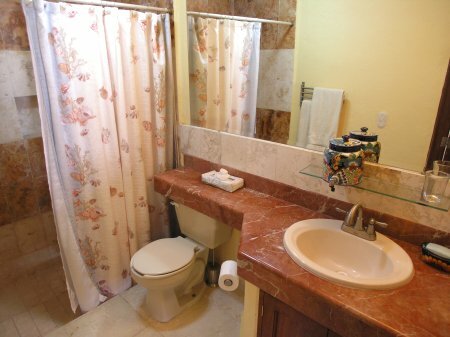 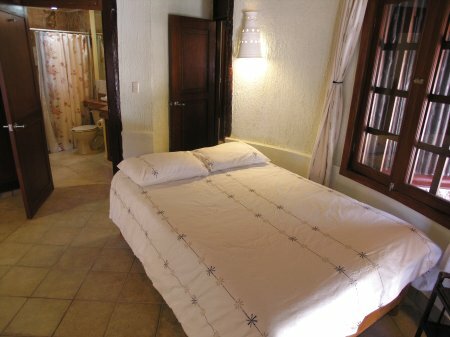 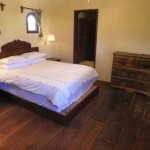 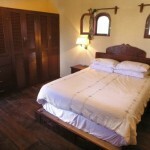 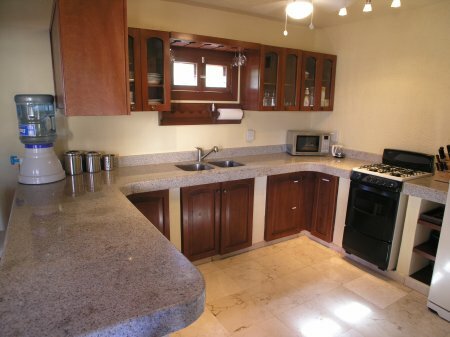 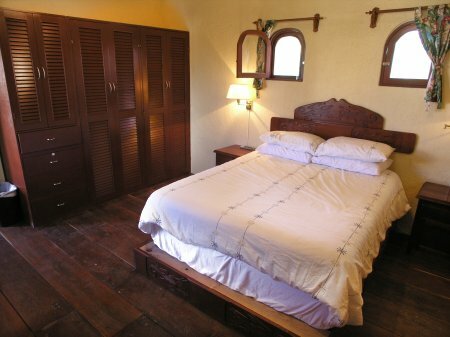 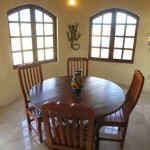 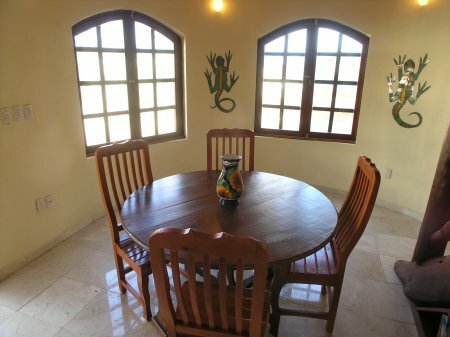 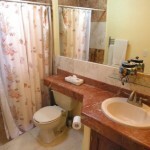 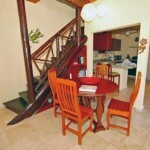 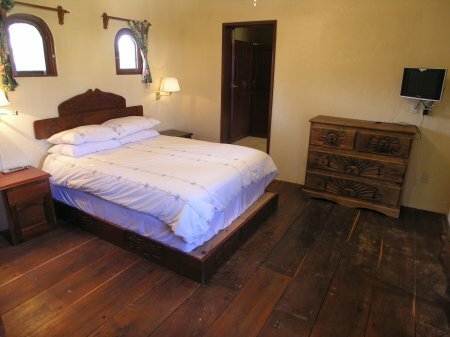 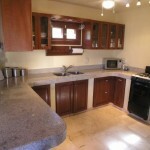 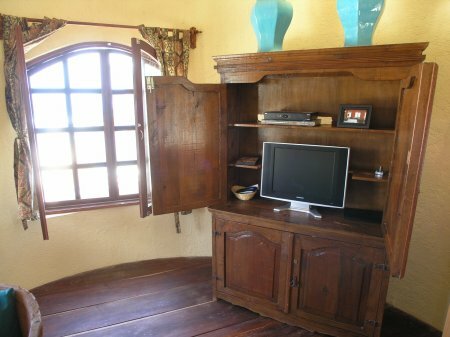 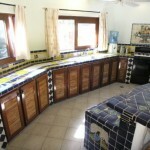 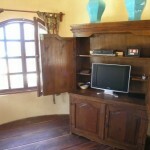 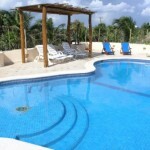 Rates are in USD, per week, for up to 8 people. 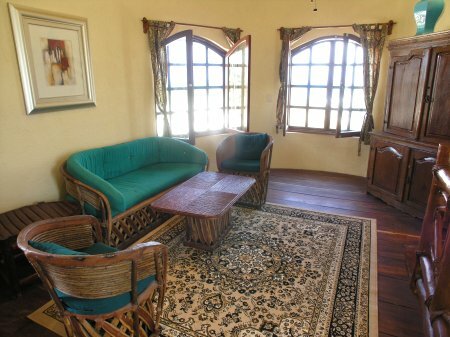 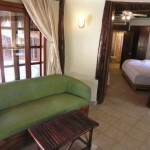 Add $150 USD per person over base occupancy of 8 guests *. 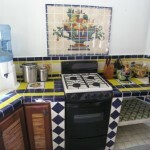 Complimentary cook service for 5 meals. 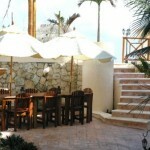 Applies to 7 night reservations only for lunches and dinners Monday to Saturday. 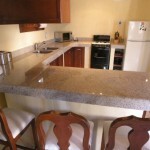 Cost of groceries is additional.